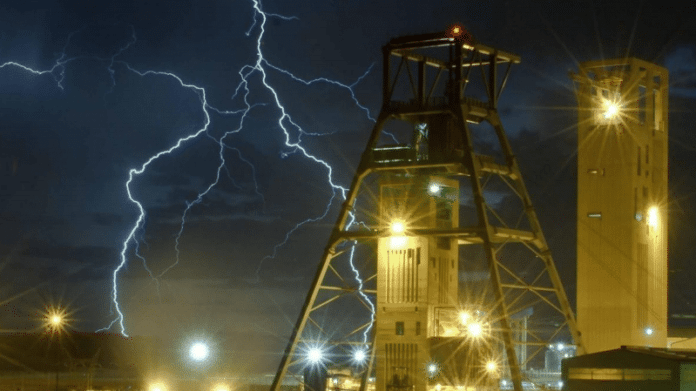 THE South Deep regional branch of the National Union of Mineworkers (NUM) declined to accept an improved retrenchment package offered by Gold Fields, raising the prospect of prolonged strike action at South Deep mine. “I can confirm the offer was not accepted so it’s the status quo; it’s where we were,” said Sven Lunsche, spokesman for Gold Fields. An official announcement from Gold Fields was due in the next one to two hours, he added. In addition to a retrenchment package sweetener, Gold Fields would spread the impact of the no work, no pay over four months which would lessen the impact of virtually no pay at all ahead of Christmas, as well as ease the financial burden thereafter. Affected employees would also be provided with portable skills training and a call back provision – essentially retrenched employees would be given first option to return to their jobs if their resources were required in the future. “However long the strike continues, it cannot and will not lead to changes in the restructuring plans, including the 1,082 retrenchments, that are necessary for South Deep’s long-term sustainability and saving the remaining 3,500 jobs,” said Nick Holland, Gold Fields CEO, in a later statement. “Should the strike continue for an extended period of time though, it could potentially place more jobs at risk,” he said. Holland, said earlier this week there was evidence that employees wanted to return to work after some 1,900 of them had registered their interest in doing so, many of which the company suspected were members of the striking NUM. South African mines minister, Gwede Mantashe, took aim at Gold Fields following consultations with the company saying it had merely taken a “tick box” approach to the retrenchment process. Holland responded by saying that the company couldn’t have done more given the fact South Deep was unable to support the affected employees and might even struggle to operate in the future even with the 4,000 employees left behind. Mantashe had wanted Gold Fields to revisit the retrenchment numbers, but Holland said that was impossible. Nickholland is not right to retrange workers , at this mine cause South deep they are few workers , so better to nickhooland to accept to leave retrange at this mine ,,, people who affected they must go back to work to produce production , otherwise the business will never In forward. It is not fair to make fun of “Zibu”, he has been misled by the socialist government ito believing that businesses sole reason for existence is to provide jobs for people like him. If he knew any better he would never vote for these incompetent and …..
Actually, to compare apples with apples my friend, Nick is not the Captain of this particular ship. In this analogy he is the CEO of the shipping company and one of his prized vessels (even though it is a loss making one) have been captured by Pirates in hostile waters….Best to let the Pirates sink the ship with all aboard than to put the rest of the fleet at risk, wouldn´t you say…? Nick Holland is selfish he wants to destroy lives of Southdeep people but this is not gonna happen. Hi Dolly, my friend, everyone is selfish…. Nick should have closed this mine long ago, he did not have the cahones to do so. Num and their members are going to do it for him, they are the ones who will destroy the lives of the people…. By the way, how can anyone in his right mind justify producing gold (that no one really needs, if we are honest) at a LOSS to shareholders whilst at the same time placing peoples lives and health at risk working down these deep level mines… It is madness…. This mine has really gone DEEP into the SOUTH, so much so that it is threatening to DEEP(EN) divisions between fellow SOUTH Africans. What in the world did Mining Engineers ( from many walks of life, incluidng those from down under, and other respected mining jurisdictions – Canada) do to this “great” orebody? Still, Neil is trying to do something before he gives up for good.